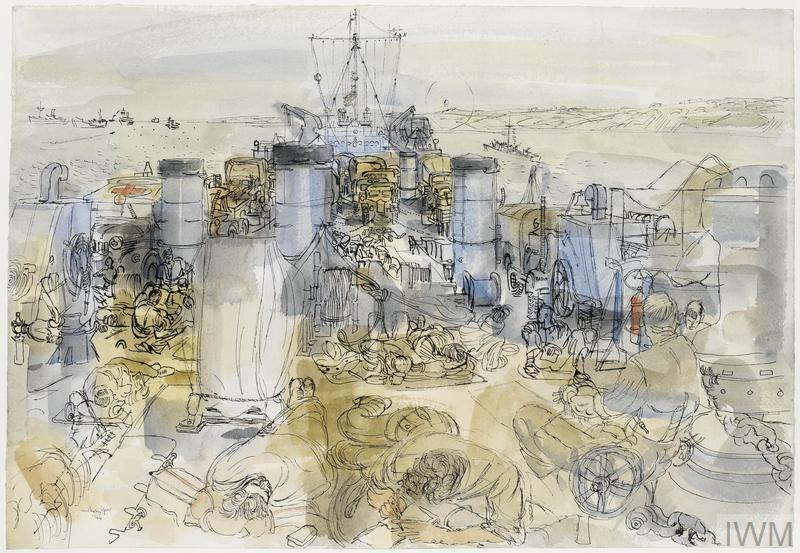 Anthony Gross was among the first artists to be commissioned as a British official war artist in the Second World War. He was also one of the longest serving. Given a temporary commission in 1940, Gross was continuously employed as a war artist from 1941 until 1945. 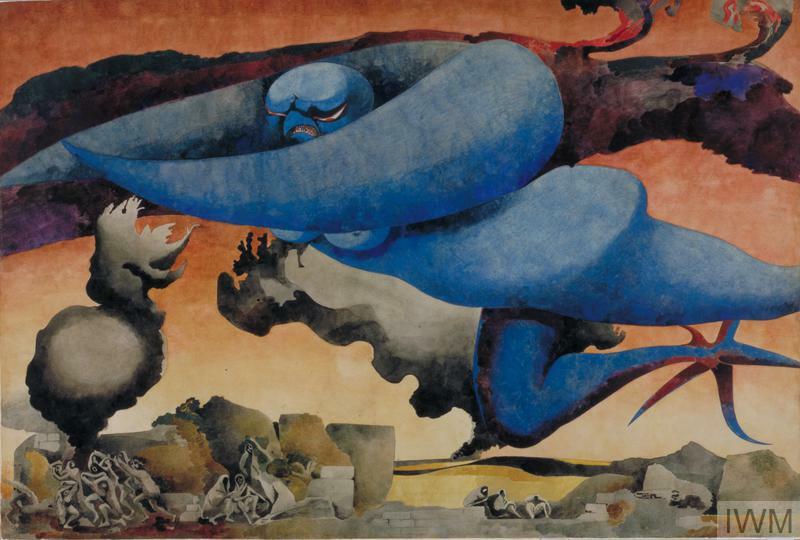 He experienced everything from the London Blitz to fighting theatres in the Middle East, North Africa and Burma, producing over 350 artworks. In 1944, Gross returned to Britain in time to witness the build-up to the momentous D-Day landings. 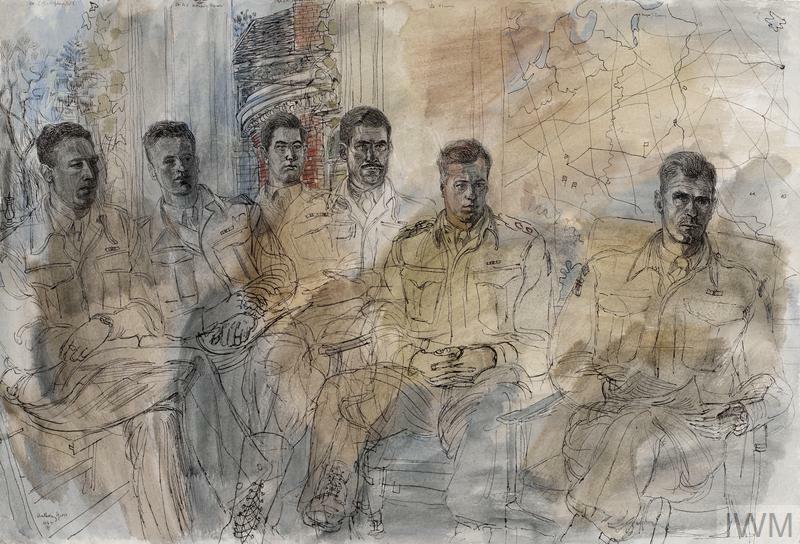 Using his distinctive style of ink and watercolour drawing, he completed group portraits of British and American soldiers and officers assembled for the operation and the huge preparations involved. Gross sailed with the attacking troops during D-Day on 6 June 1944, setting foot on French soil after the beach-head had been secured and the fighting had moved inland. 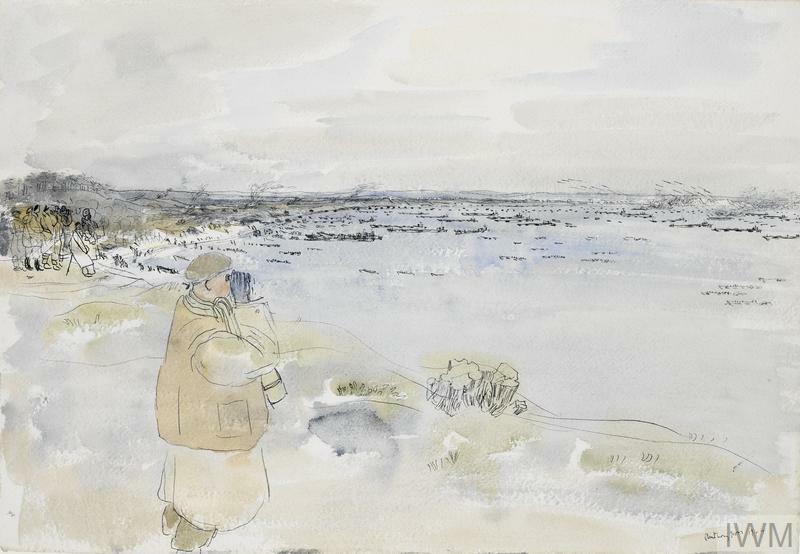 He stayed on in Normandy as the intensive fighting continued, his drawings often showing the debris left behind. Gross followed the progress of the Allied forces through France, Belgium and the Netherlands, and later into Germany. He finally ended his period as an official war artist in May 1945, by which time Nazi Germany had been defeated in Europe. 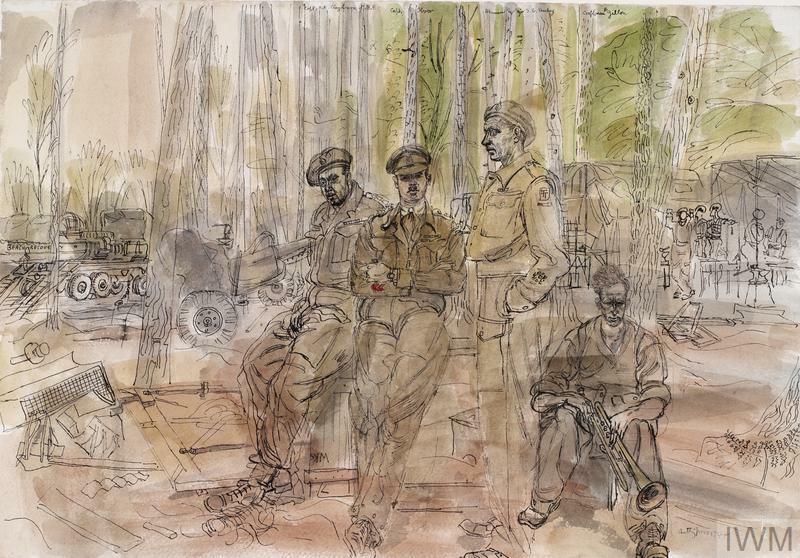 In the build-up to D-Day, Anthony Gross drew a series of group portraits of men and officers of the 50th (Northumbrian) Division, the formation that was to be at the heart of the assault on Gold Beach. These Royal Artillery officers sit in front of a map, alluding to the detailed preparations and planning that went into the D-Day landings. The 50th (Northumbrian) Division was a battle-hardened formation that had been involved in fighting in France in 1940 and in the North African desert. It had also undertaken amphibious landings in Sicily in 1943 before it was selected to take part in D-Day. 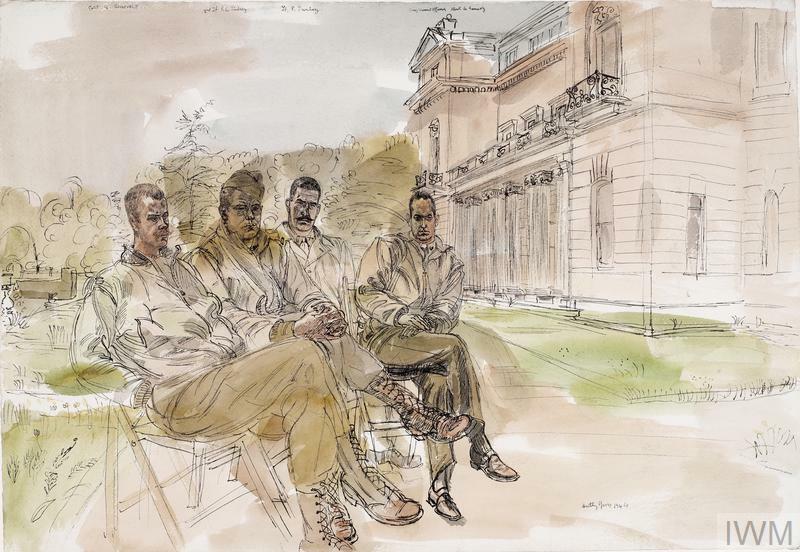 This level of experience is reflected in the soldiers and non-commissioned officers depicted in this drawing, virtually all of whom had been decorated with the Military Medal (MM) for bravery. As well as infantry and artillery, the 50th (Northumbrian) Division also had support troops, including these men of the Royal Electrical and Mechanical Engineers (REME). 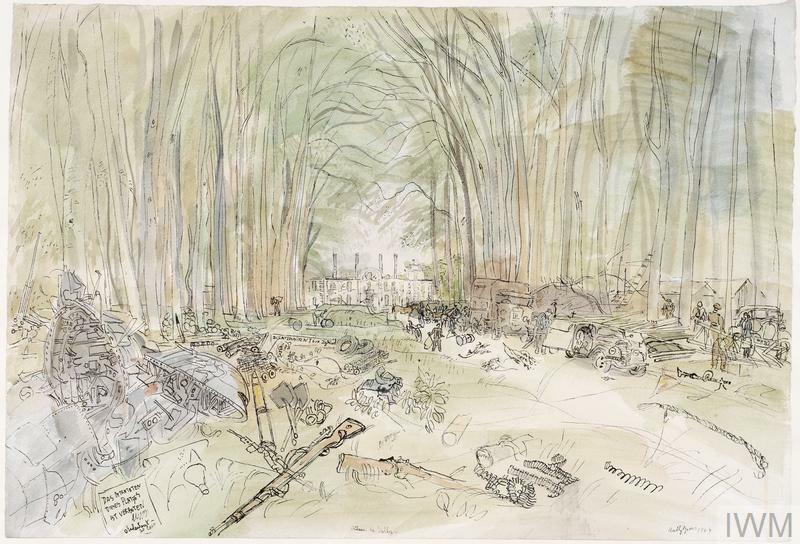 In the background are some of the many military vehicles and artillery guns assembled for D-Day, here placed in a forest to help conceal them from aerial observation. Exercise 'Smash' was a rehearsal for the D-Day landings. It took place at Studland and Shell Bays on the south coast near Poole in April 1944, using live ammunition. The exercise was observed by commanders and senior figures including Churchill and Dwight D. Eisenhower, the Supreme Allied commander. 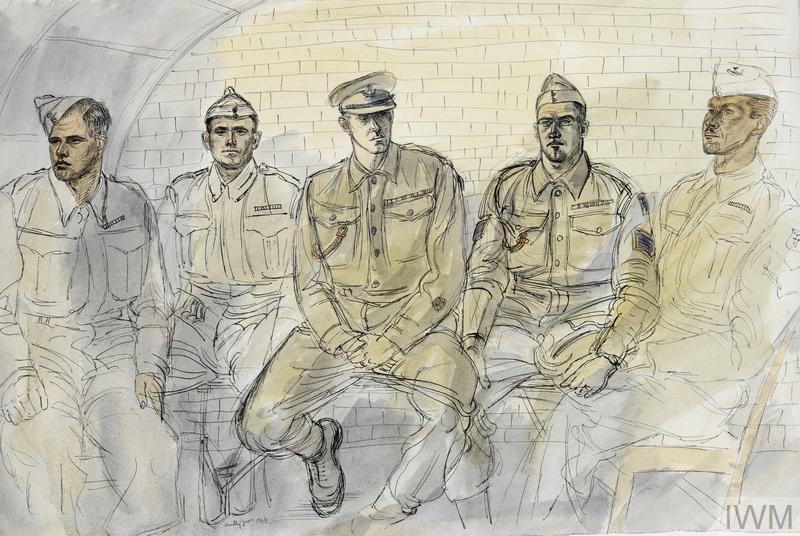 As well as completing group portraits of British troops, Anthony Gross also depicted Americans of the 1st US Infantry Division in the run-up to D-Day. This formation was to take part in the landing at Omaha Beach on 6 June 1944. Sitting on the left here is Captain Quentin Roosevelt II, nephew of US President Franklin Delano Roosevelt. Quentin’s father Theodore 'Ted' Roosevelt III also took part in the D-Day landings on Utah Beach. 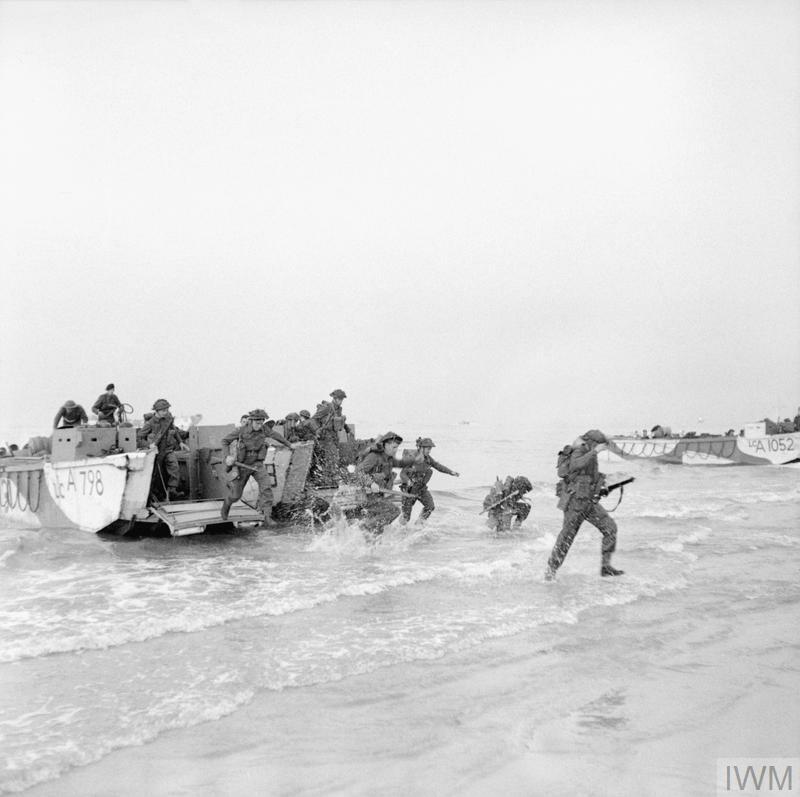 The D-Day landings were very much a combined operation, involving close coordination between Allied armies, navies and air forces, as well as use of specialist commando and airborne troops. It primarily involved American, British and Canadian troops. In this watercolour Gross conveys this closeness and also the sense of waiting, each man seemingly lost in thought. The amphibious landings on D-Day required the use of numerous landing craft to transport the attacking forces, some carrying infantry and others carrying vehicles and armour, like this Landing Ship Tank (LST). During the landings, much of the supporting fire was provided by warships before artillery could be landed in Normandy. Anthony Gross sailed across the English Channel behind the attacking waves of troops, landing in Normandy after the beach-head had been secured on 6 June 1944. 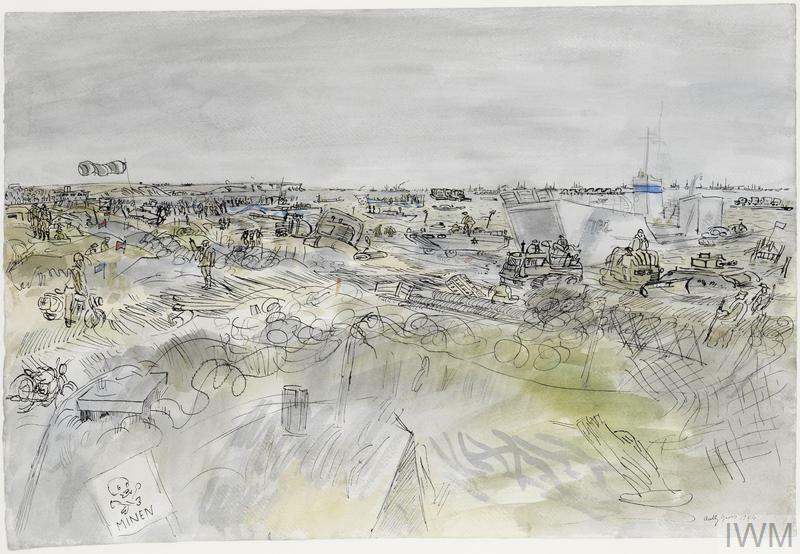 This drawing depicts a scene the following day on Jig Beach, one of the four sectors of Gold Beach, which had been assaulted by elements of 50th (Northumbrian) Division. It shows the huge array of naval vessels, landing craft, troops, tanks and vehicles involved in the landings. After landing at Gold Beach, Anthony Gross followed the 50th (Northumbrian) Division to Bayeux, where he drew the liberation of the town. The Château de Sully, used by the German defenders, was taken by British forces on the way to Bayeux. The grand tree-lined entrance to this eighteenth century country house is littered with the debris and discarded weaponry of the fighting. Jerusalem Crossroads was a position just south of Bayeux and one of the furthest positions to be reached during the first day of the Normandy landings. 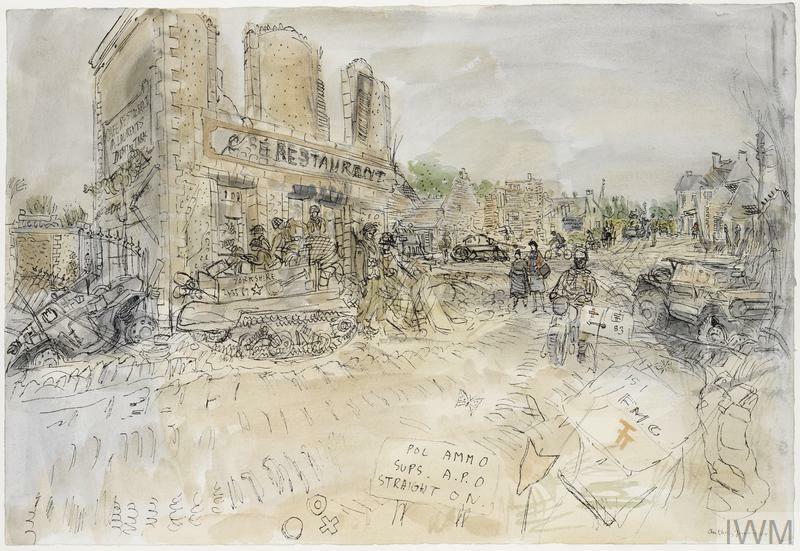 Anthony Gross captures the destruction and debris of the fighting, with many of the buildings reduced to ruined shells and knocked out tanks and armoured cars littering the road. Anthony Gross continued to follow behind the progress of the Allied advance, which after the initial beach landings slowed down in the face of mounting German opposition. 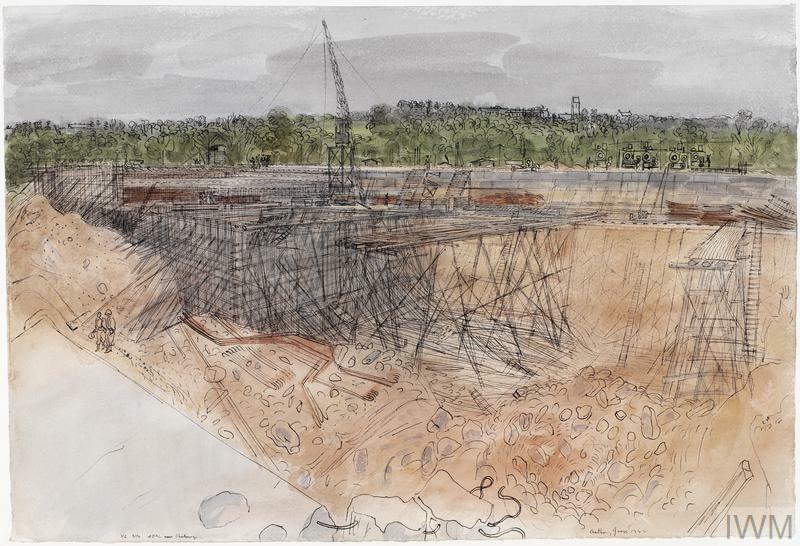 This drawing shows an unfinished launching platform for German V2 rockets. From September 1944 until the end of the war, Nazi Germany launched over 3,000 of these hugely destructive weapons, predominantly at London and Antwerp. Whilst the progress of the Allied advance after D-Day was not as rapid as had been hoped, each town or village taken was a French settlement liberated from German occupation. 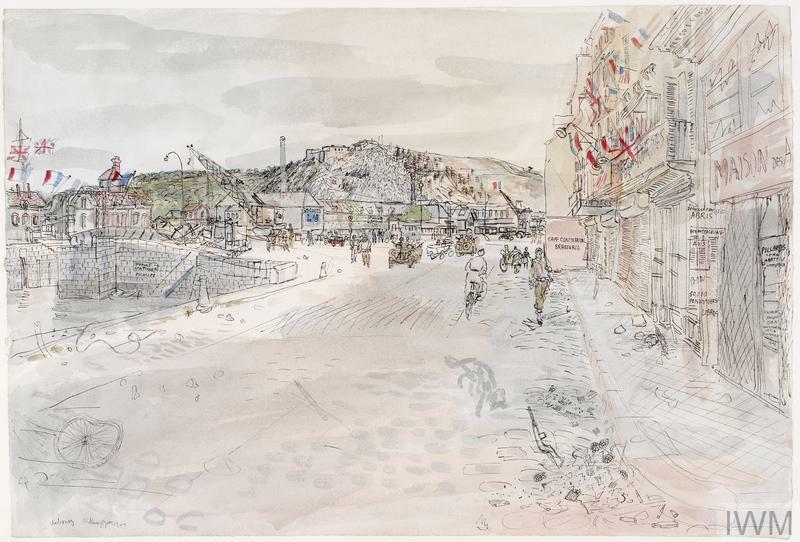 Here Anthony Gross depicts a scene in the port of Cherbourg, with French tricolors and British Union Jacks flying proudly. 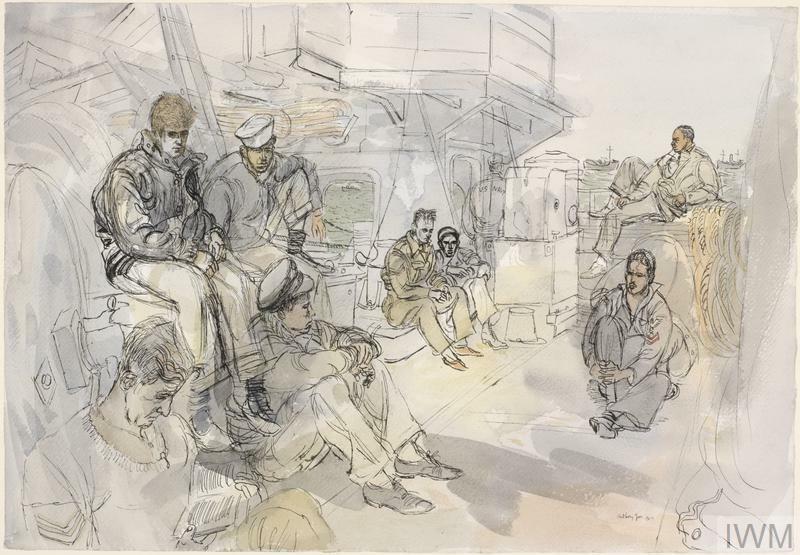 IWM has a collection of artwork relating to D-Day thanks to the efforts of the War Artists Advisory Committee (WAAC), the body that oversaw Britain’s official war art scheme during the Second World War.